Catholic News World : 5 Amazing Facts about Guardian Angels - You Need to Know and SHARE! 5 Amazing Facts about Guardian Angels - You Need to Know and SHARE! 1. 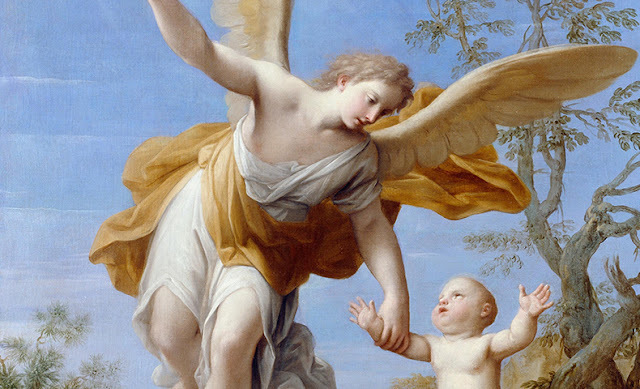 Every Person (from conception) has his/her own Guardian Angel (even those with no Faith) who is with them all the time. 2. Your Angel is trying to help(protect) you Love God and get to heaven. 3. Angels cannot sin and are great examples. 4. Your Angel can send you or others signals to warn you and try to tell you something. 5. Your can talk/pray to your Angel and ask them to help you. SHARE this to Remind People of the Guardian Angel a Heavenly Protector!